As with round-tipped nibs, stub nibs can vary in size. 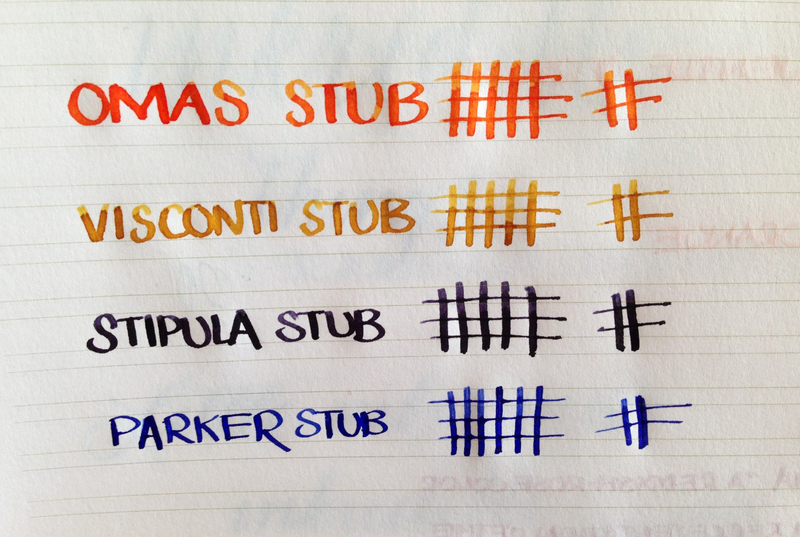 This OMAS stub is just labelled as a stub, whereas the Visconti is labelled as a 1.3 mm stub. The Stipula is a 1.3 mm stub, but feels like an italic, and the Parker is a medium italic. Italics are some of my favorites! This entry was posted in Vintage Pens and tagged Handwritten Post. Bookmark the permalink. Follow any comments here with the RSS feed for this post. Post a comment or leave a trackback: Trackback URL.